These structures represent a “remarkable collection of commercial, utilitarian buildings,” says Mark Kessler, author of Early Public Garages of San Francisco: An Architectural and Cultural Study, 1906-1929. “With facades ornamented in an eclectic mix of Gothic, Mission and Renaissance revival styles and exposed structure on the inside, they bring an unlikely combination of grace and grit to San Francisco’s streets,” he says. The neighborhood garage at 1945 Hyde is still in use. Some of the older garages retain their auto-related uses, including 2405 Bush at Pierce, which was built as a Model T showroom and garage and is still used as an auto body shop. Others still in use include 1745 Divisadero, between Bush and Sutter, and 2340 Lombard, between Pierce and Scott. In the garage at 1550 Union near Van Ness purportedly a large amount of contraband liquor was stored during Prohibition. A number of local garages were constructed by Joseph Pasqualetti, who owned the American Concrete Co. One of Pasqualetti’s more interesting garages is still used for auto repairs at 1565 Bush Street, and has recently been repainted. 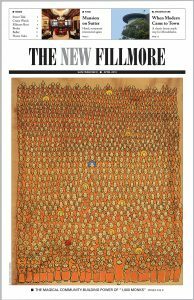 It has fared better than some of its neighbors along Pine and Franklin Streets, which have been demolished or unsympathetically consumed within a larger project. 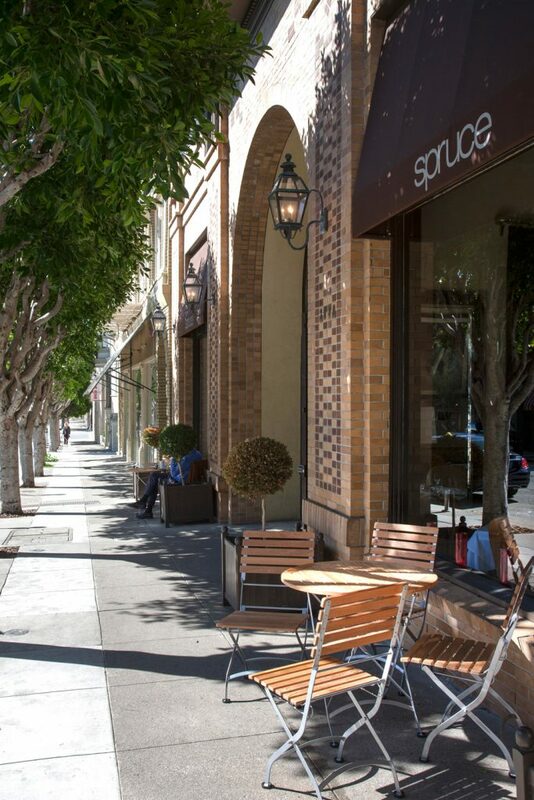 The Michelin-starred restaurant Spruce at 3640 Sacramento was once a garage. 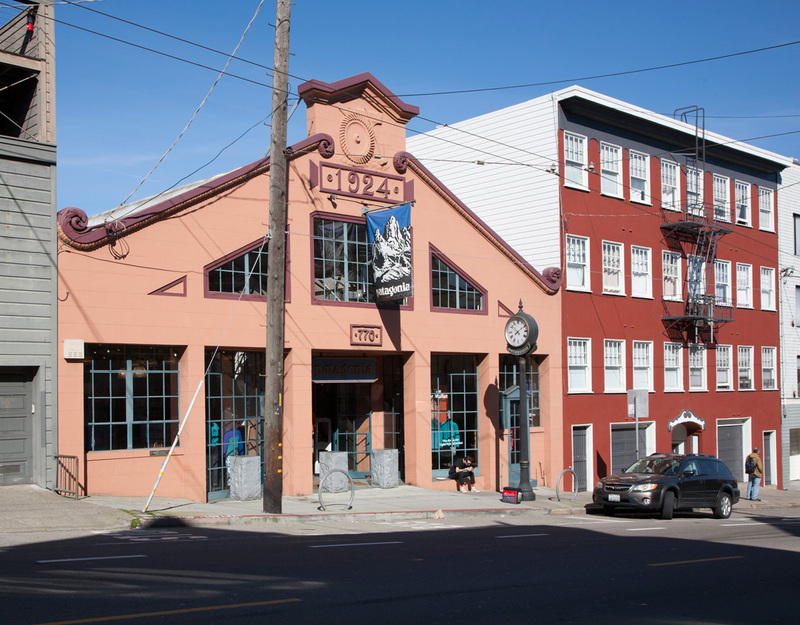 Among the older neighborhood garages that have been adaptively reused are the building that houses Spruce restaurant at 3640 Sacramento Street; 421 Arguello, recently converted to eight residential units; the Walgreens at Polk and Broadway; the Whole Foods at Franklin and California; and 1641 Jackson, between Van Ness and Polk, designed by the O’Brien Brothers architects. The Patagonia store on North Point below Hyde is an exceptionally well-designed example of the neighborhood garage, with a remarkable scalloped parapet. 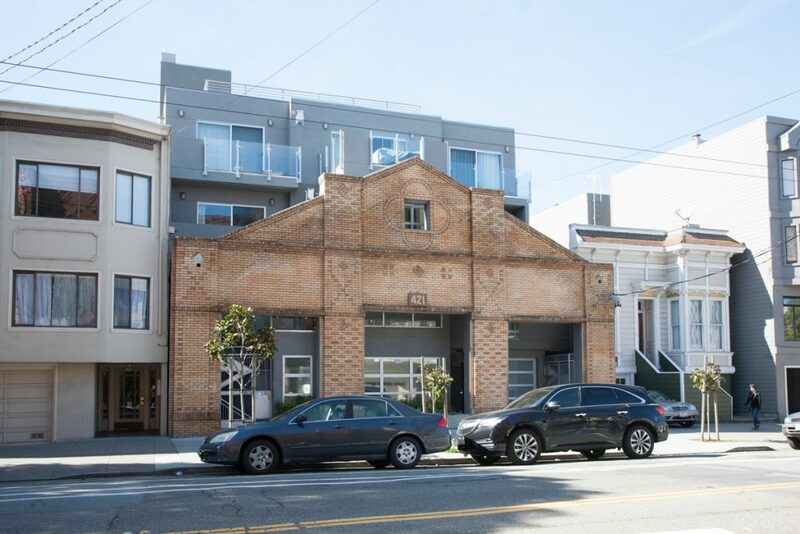 Eight residential units were incorporated into the former garage at 421 Arguello. A number of the remaining garages in the neighborhood are threatened. 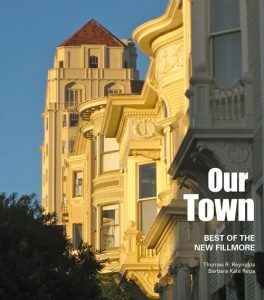 Foremost among them is the building that for the past two decades housed the Real Foods store at Fillmore and Filbert. After the store suddenly closed a few months ago, it was rumored that the 1915 building would be demolished and replaced by a multi-story residential building on the prominent corner lot. No plans have yet been announced, but neighbors are giving careful attention to how a large-scale development project would fit there. 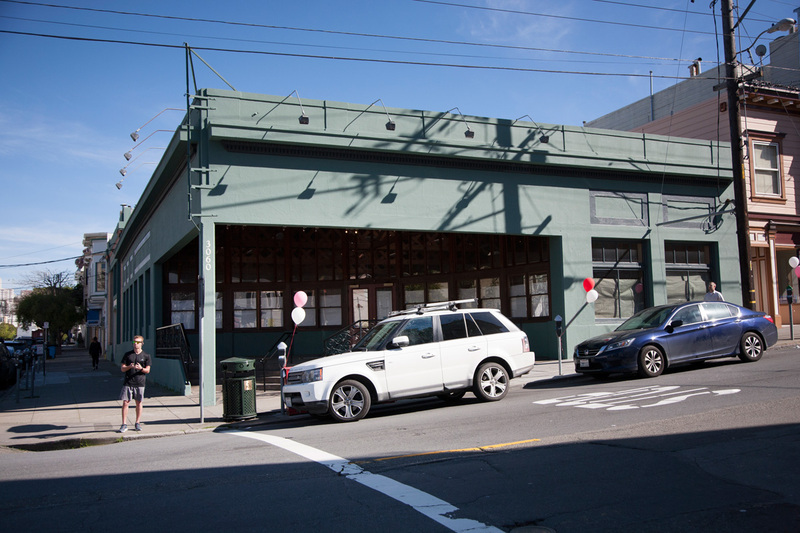 The future is in doubt for the garage at 3060 Fillmore that formerly housed Real Foods. 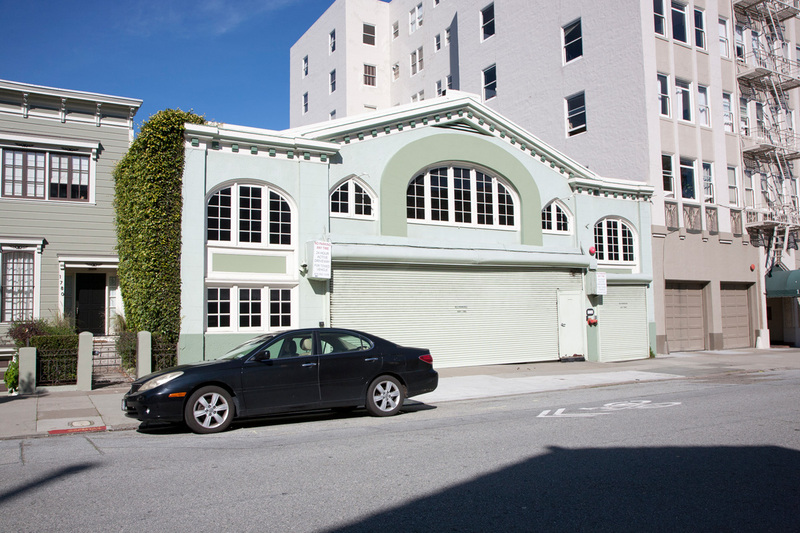 The historic neighborhood garage at 1776 Green Street is currently vacant and listed for sale for nearly $9 million. The parcel sits on a block that is primarily residential, and the real estate listing promotes it as a “development opportunity.” A residential reuse of this building might be a good fit; however, the number of units and scale of the addition would be important in maintaining the building’s overall character and help it fit into the neighborhood. 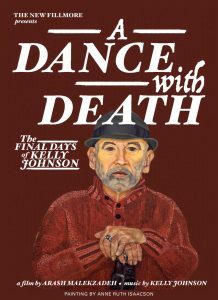 Demolition and complete redevelopment of the site would likely be very difficult, given the building’s historic nature. 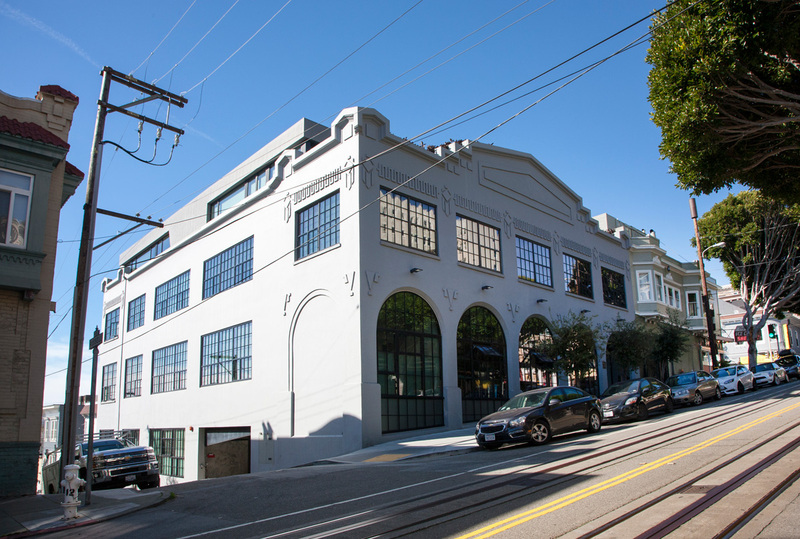 A recent study commissioned by the Planning Department focused on the auto-related buildings on and near Van Ness Avenue between Market and Pacific. The study by historian William Kostura identified historic structures that had been used as auto showrooms, public garages, repair shops, tire stores — and includes the Heald College building at 1101 Sutter, which provided an automobile engineering program teaching the ins and outs of auto design and repair. Today we are rapidly losing the remaining former garages to demolition or significant alteration. Those who are historically inclined can hope that both Kessler’s well-documented, scholarly study and the recent Van Ness Auto Row study will help encourage the adaptive reuse of these structures, rather than their wholesale demolition.